I was thrilled to be asked to be a part of the Basically Jalie Blog Tour. My pattern was sponsored by Jalie. This is the Mimosa Top, 3890. My fabric sponsor was Simply By Ti. My opinions about both are my own. 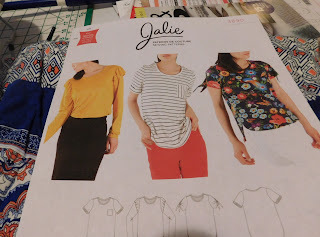 I was very interested in making this Jalie pattern. The pattern offers three style versions. 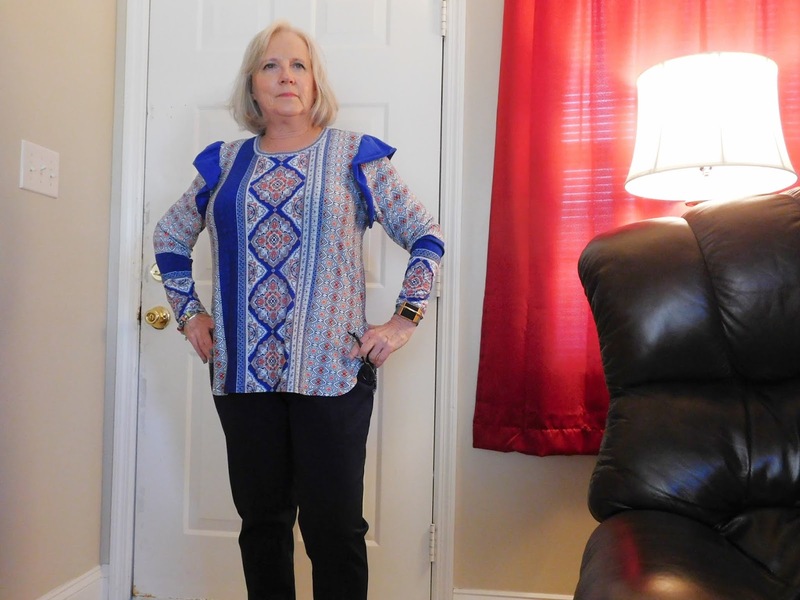 I have seen several RTW tops with flounce sleeves and wanted to make this view. This is a transition top from winter to spring for me. I do plan to make the tie sleeve version soon.